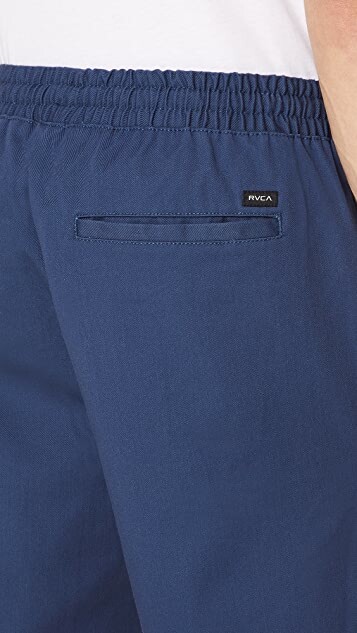 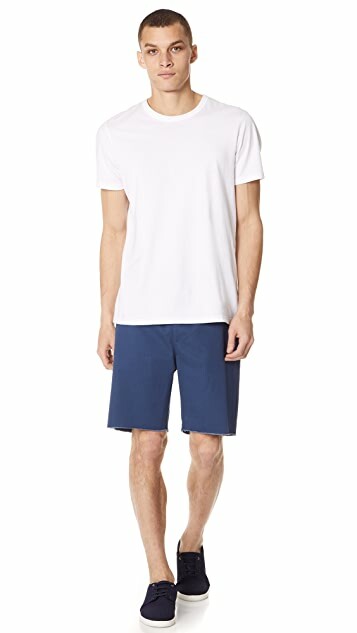 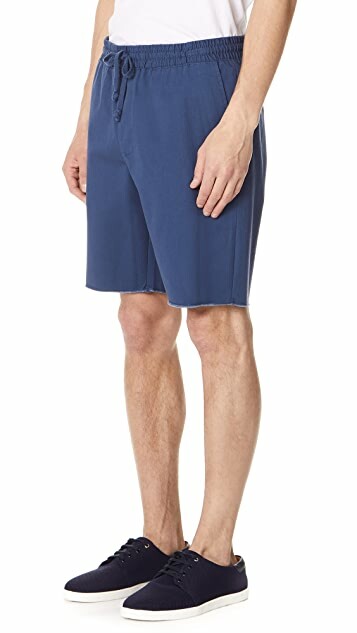 Easy RVCA shorts in soft twill with a drawstring elastic waist. 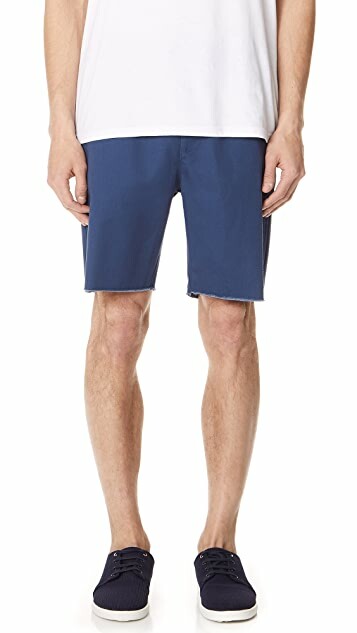 Slant hip pockets and 2 back pockets. 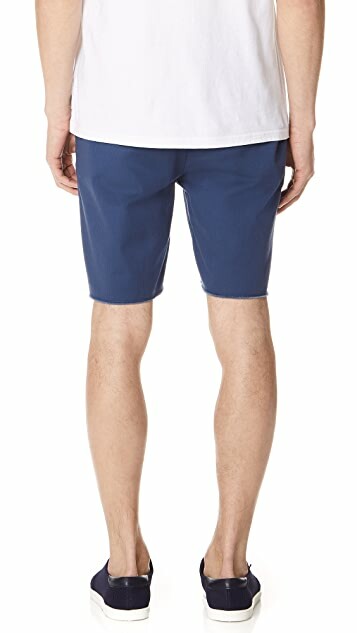 Raw-edge leg openings.